I’m a Dashboard Confessional fan. By far that’s not the only band I like/love/follow, I’m not fanatical about any particular music. But I really can identify with Dashboard because they don’t avoid emotion. A lot of their music has a sense of intimacy and realism, and their songs express idealized notions about how the world should be. They find words to get across what they’re feeling, and they’re clever. And I like that. I’m going to start my new blog with something cool. Matt Mitcham is my favorite athlete. 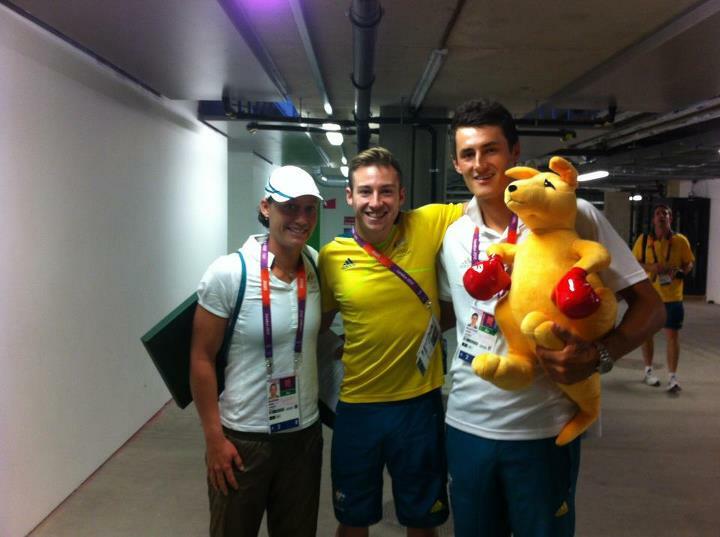 He’s an Olympic diver for Australia that won the gold medal in 2008. He’s gay and has a boyfriend named Lachlan; he’s one of the first gay olympians to really be out. He’s got a fun and expressive personality (I mean, he’s here in the photo with a kangaroo!) He’s in the middle, and the other guys in the pic are also Australian athletes. So not every one of my posts can be so fun and light-hearted, because I think of a lot of serious stuff and way too often. But let’s get this blog off to a great start and wish Matthew a great time in London and much love! I'm a Dashboard Confessional fan. By far that's not the only band I like/love/follow, I'm not fanatical about any particular music, celebrity, or anything really. But I really can identify with Dashboard because they don't avoid emotion. A lot of their music has a sense of intimacy and realism, and their songs express idealized notions about how the world should be. They find words to get across what they're feeling, and they're clever. And I like that.